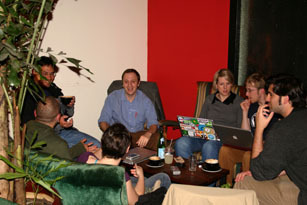 The San Francisco co-working group met on March 27, 2006 at Ritual Roasters. Among the items that came out of the meeting is the groups name of "Teh Space". This is the first of three audio parts.